Another project that got worked on over the past weekend was the ’30s Drunkard’s Path quilt. 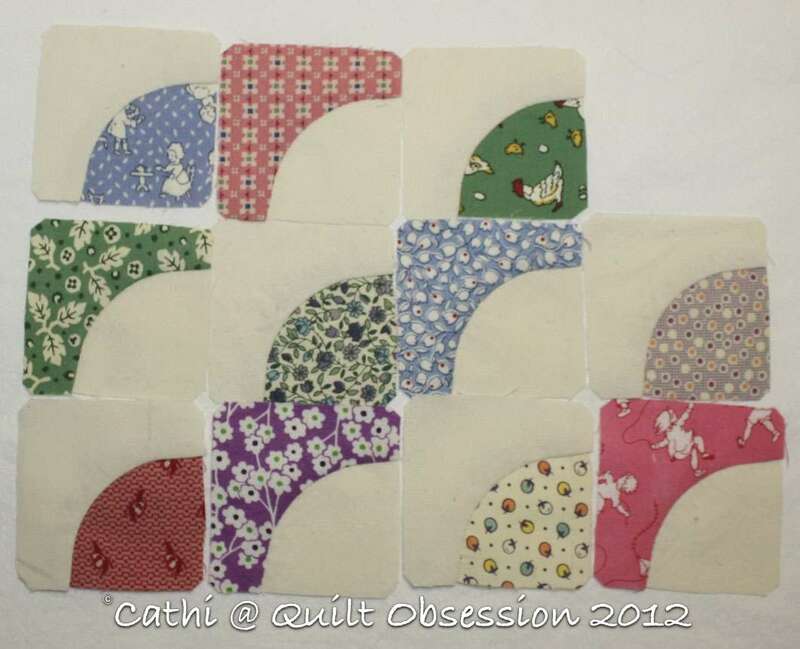 Eleven more blocks done. Now the numbers are 386 done, 446 left to make. 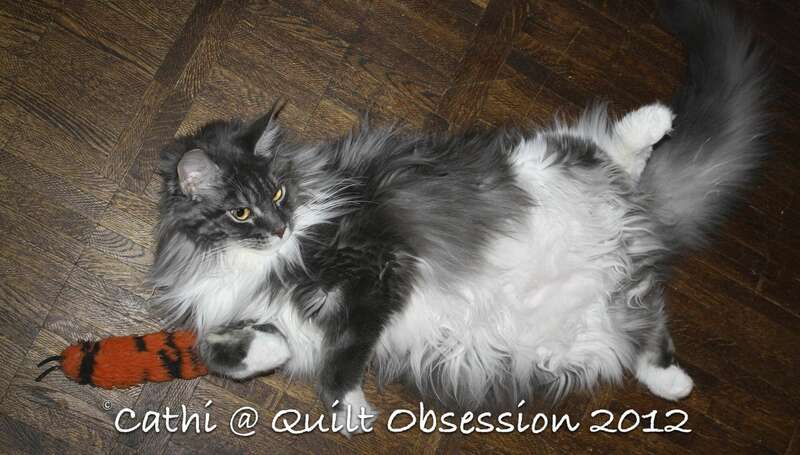 Even typing that makes me shake my head, but I am determined to make this quilt no matter how long it may take. The little blocks really do go together amazingly fast and I suppose if I dedicated myself to stitching them, I might well have them all done in a relatively short period of time. But is that going to happen? Not a chance with all the other projects I have on the go to which I want to dedicate some time. 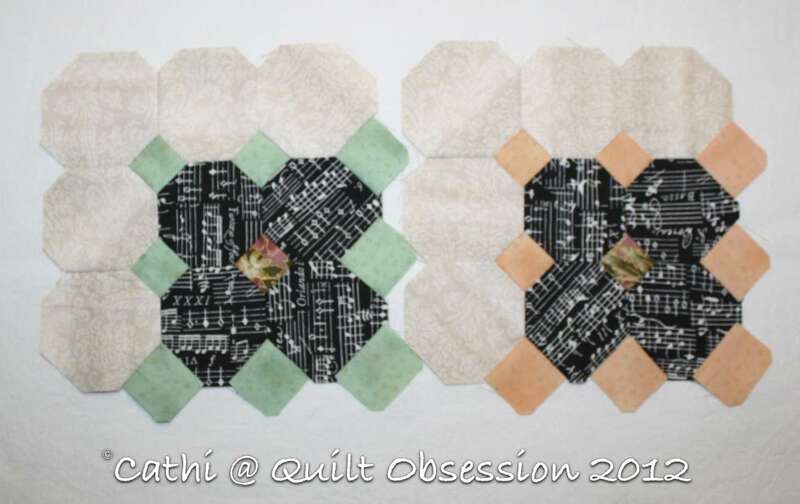 Two more blocks were made for the Harpsichord Quilt on the weekend too. The Harpsichord Quilt project box is now out and front and centre so that I make at least one, if not two, blocks a week to add to it. This has been going on way too long and is not a project I want to still be stitching in another two or three years. I want it finished by then! It’s a fairly fast stitch as well and is just plain fun to see the little sparkle of colour in between the black and parchment fabrics. It presses in a second. I used the same parchment/gold fabric for this quilt as I used for the plain setting diamonds in my Quilted Diamonds quilt except that for the Harpsichord Quilt I’m using the “wrong” side of the fabric. That has thrown me a bit a couple of times when printing the shapes on to fabric as I have instinctively pressed the freezer paper to the right side of the fabric so the lines would print on the back. Thankfully, I’ve caught the error before printing although it wouldn’t have been a real problem anyway as the ink rinses right out and I could have reprinted. My head was shaking too! It just seems daunting when your are hand stitching, but I know you can do it you are expert at inklingo! Looking forward to seeing ALL of them together. Love the Harpsichord block too. How has Baxter been enjoying the weather? Good window viewing! That’s a favorite shot of Baxter! He is just so gorgeous . . . .
“Piece of cake” for you to get those DP blocks done! I find if you quit counting pretty soon you have too many! Then you have the beginning of another quilt! I love the Harpsichord blocks, too. Those little blocks will be done before you know it! Baxter is having fun with his toy, he looks as though he is in mid-game. Love those little fun blocks. They will be like log cabin blocks when you play with them. Only a few hundred possibilities to choose from. Baxter is SO CUTE. Your blocks are always perfection. 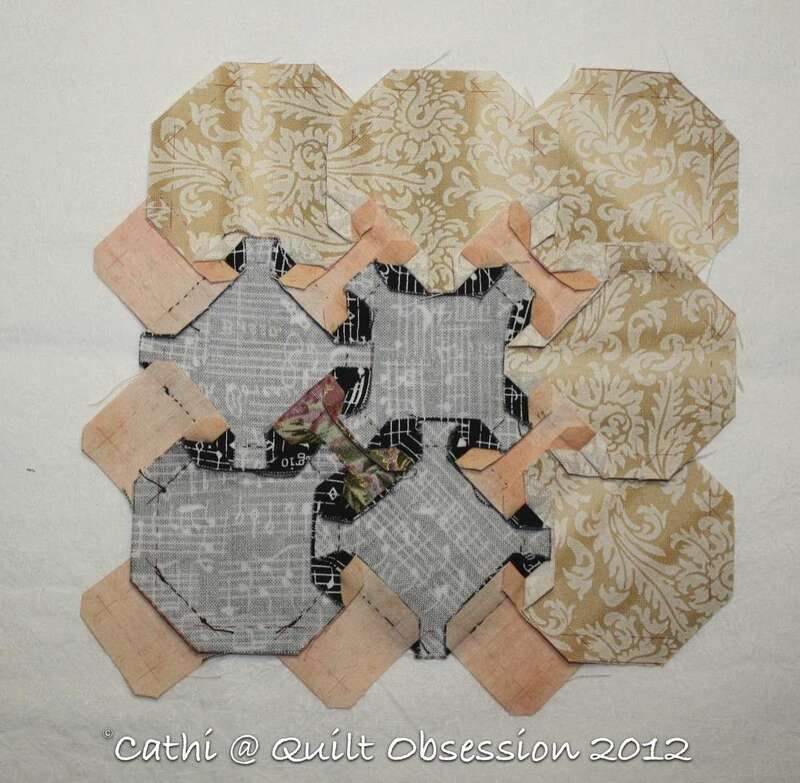 I have not seen the harpsicord block made up into a quilt so am anxious to see how yours comes together. Baxter is a cutie! I, too, am wondering about the quilt design for the harpsicord blocks. That is going to be an interesting quilt. But then again, I haven’t seen anything that you do that I haven’t liked!